Decided to do a blog on our toothy critters after watching that amazing video of the world’s most lucky surfer who nearly became toast of live TV. 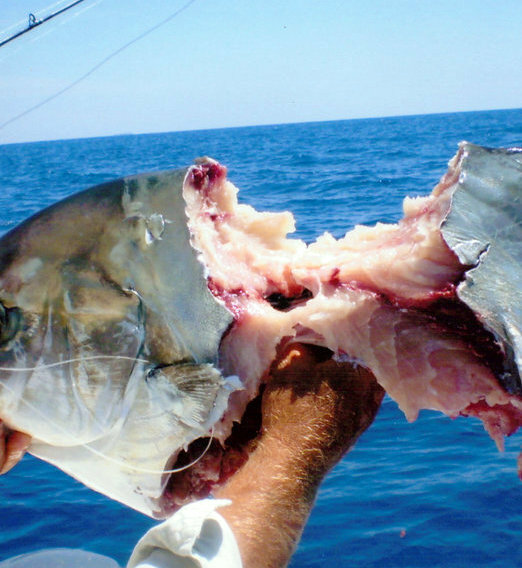 The words shark attack mean different things to different people to the general public images of jaws come to mind but if you are a fishing in the Florida Keys it takes on a whole new meaning. 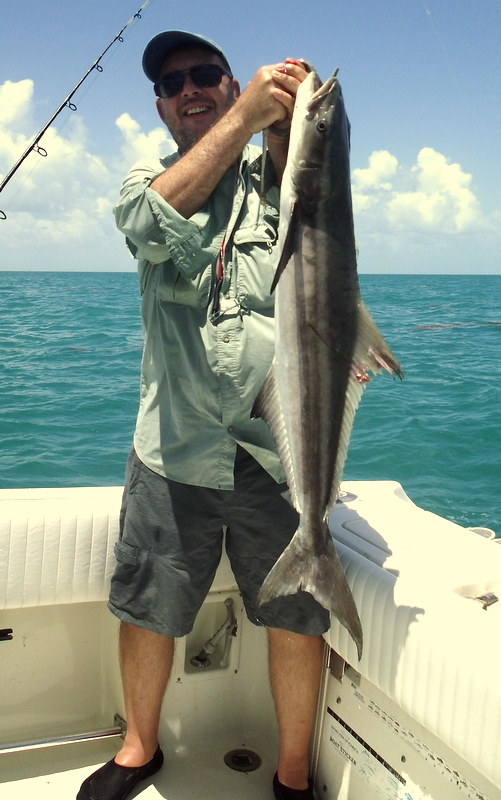 I consider myself very lucky that most guys who are on a Fishing Holiday in the Florida Keys are more than happy to go shark fishing but it’s when you don’t want them they can be a right royal pain. So you have come over 4000 miles then dragged out of bed at 3 am managed to get your 150 lb tarpon out from the bridges into open water and all is going well then out of the corner of your eye you see a point of a very large fin. 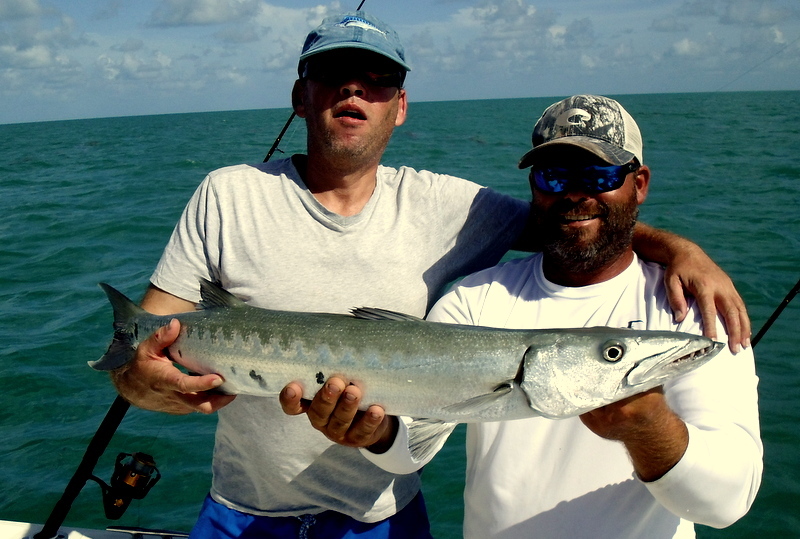 Well 9 times out of 10 its game over call them lazy or opportunist but big shark know it is tarpon season, why chase your meal when an angler will do the hard work for you. 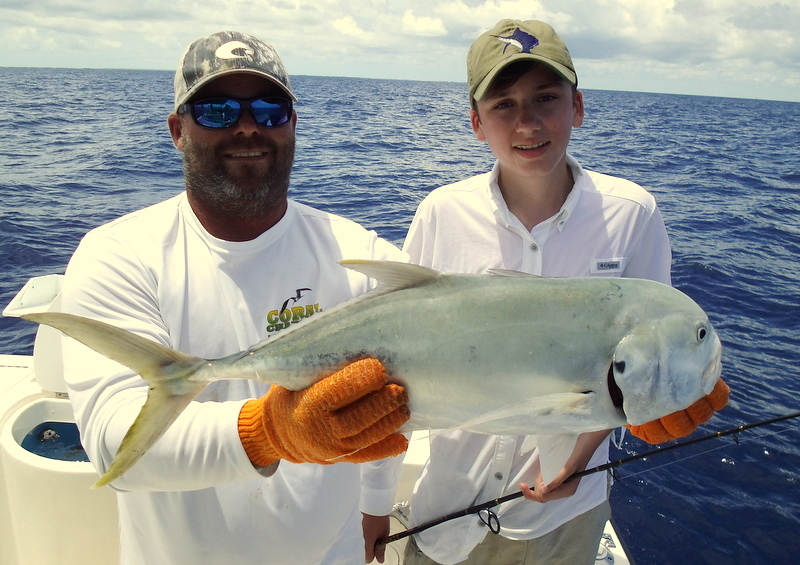 The same on the permit spawning grounds some days there is no way on this earth you can get a permit back to the boat some people say shark numbers are on the decline I have to say fishing in the Florida Keys for over 15 years I see numbers getting bigger. One thing this has changed is our approach to shark baits it used to be fresh mackerel or jacks were our number one bait now especially if we see a very large shark we use small shark as bait. This year we have had some monster bull shark and most of these have fallen to shark baits why I am no sure but it works and if it aint broke you don’t fix it. 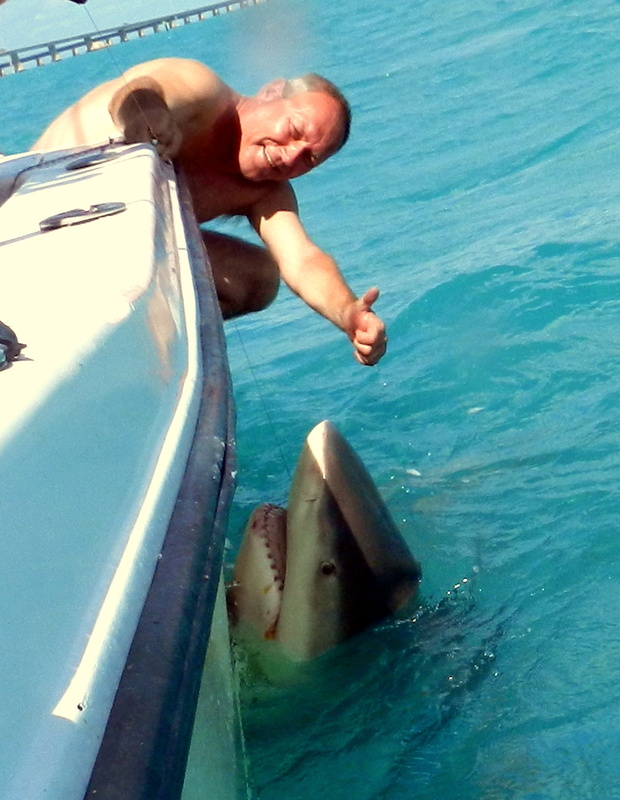 Still have to laugh at the day my friend brought his boat over to where we fishing telling me he was being attacked by shark under 7 mile bridge and the exact spot. His guests saying ” why the hell would Rodney want to know that ” some locals hate all shark but for us it was up pick and one of the most amazing days shark fishing we have ever had. 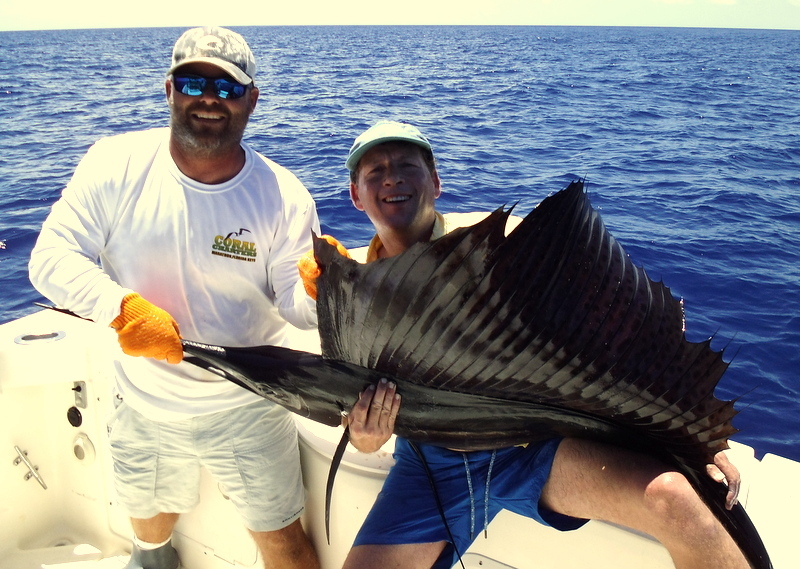 Capt Brent Kindell is doing an amazing job for me running our Fishing Holidays in the Florida Keys during the summer and the Keatings week was stunning. 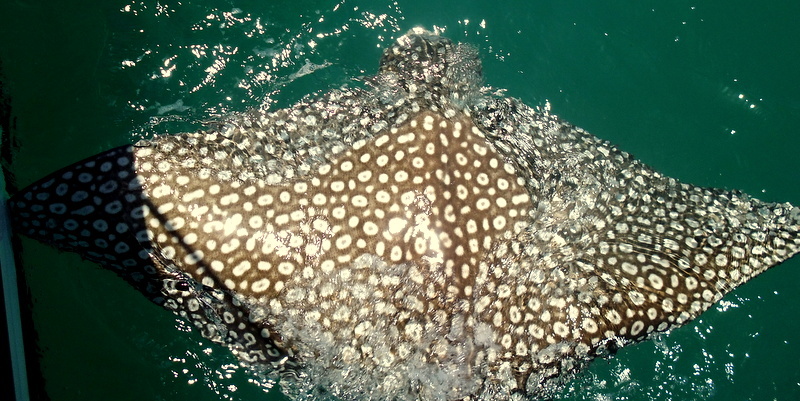 Not only that frisky summer sail video shows by keeping the boat moving the fish stays very green and goes back a lot better but an eagle ray for young Harry. 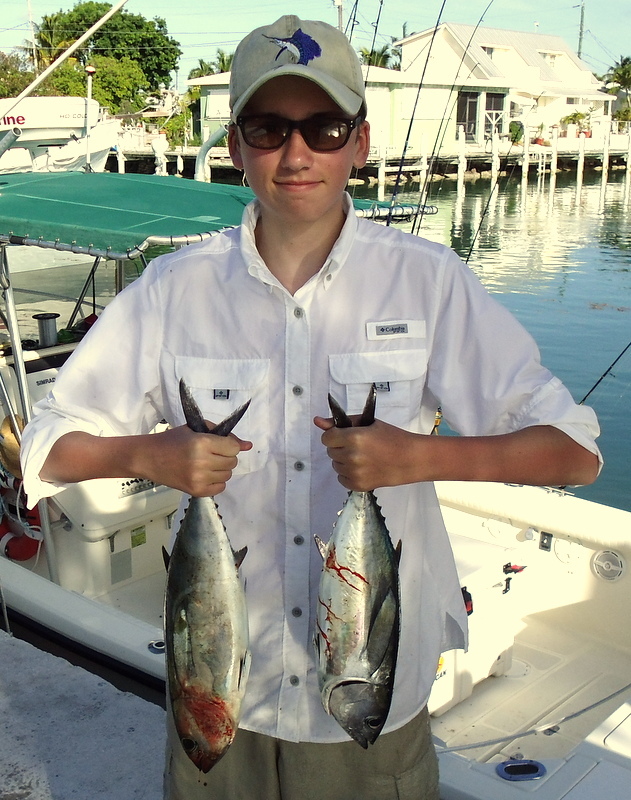 The fish took a shrimp bait on a very light rod but with Harry’s growing skills and an hour of hard work the fish was by the boat well done. 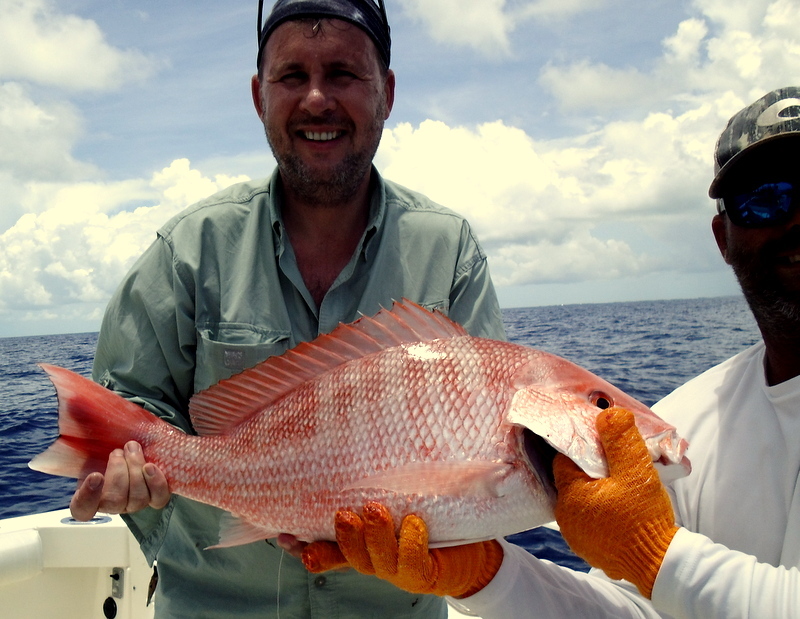 The only one that hurt was catching a monster red snapper only to have to put it back they are not in season and boy do they taste good. 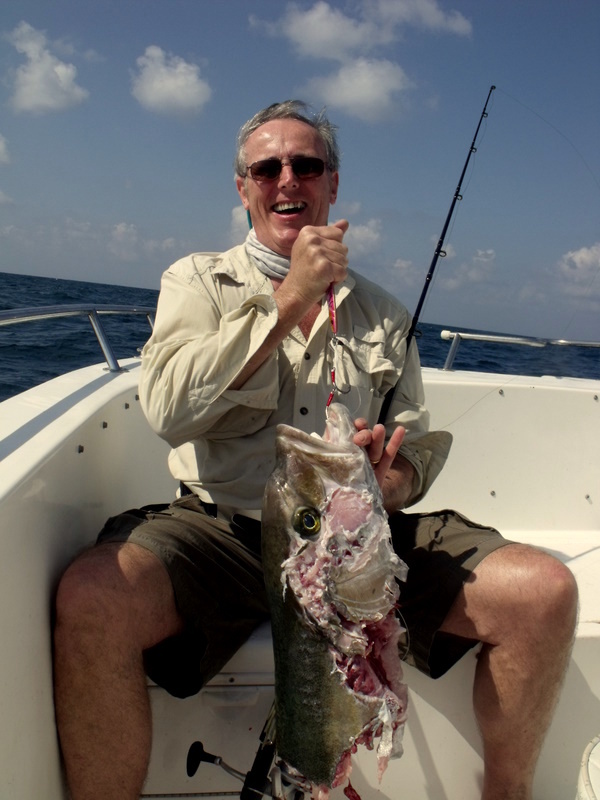 Brent made up for that with a superb snowy grouper we have only ever had one but I remember just how good that tasted yes I love my fish but I recon that if I eat fish five days a week I can have an expensive piece of cow on my meat day. I have one regular party from the Island of Jersey who I know are all keen spearfishermen and with this in mind I have decided to link up with a local spearfishing Captain to run spearfishing holidays. The Capatin’s name is James Simcic and he had a purpose spearfishing boat and has been doing dive trips for many years check him out at www.spearcrazy.com. You would stay in our flat and much like Fish the Dream just let James know what you want and he will do it, his passion is free diving not sure I understand it but I cant think of a better place in the world to do it than the Florida Keys. 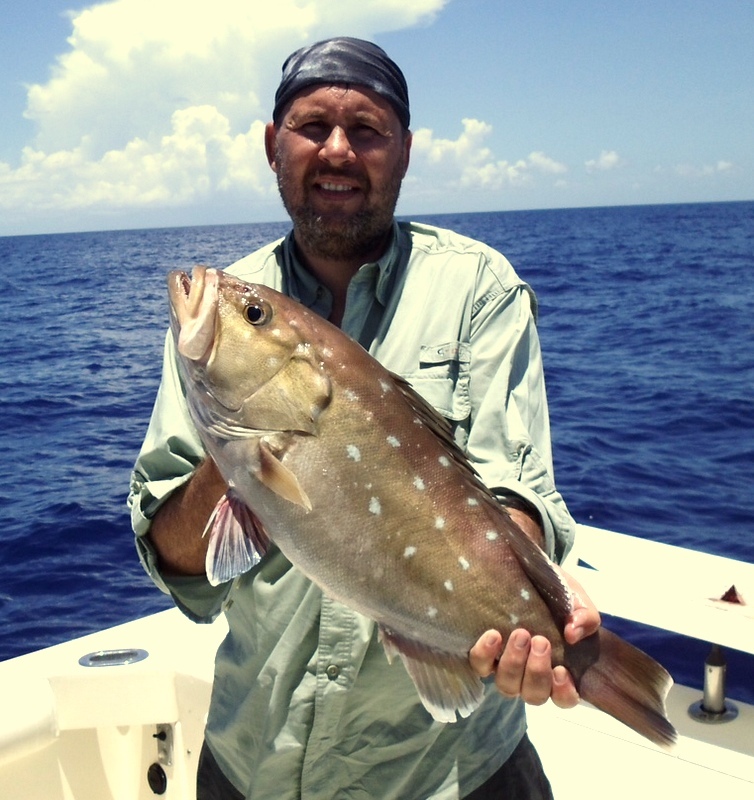 I know one of my many faults is my memory but when a guy on one of our Fishing Holidays in the Florida Keys says ” do you remember when I was last out two years ago that place we had fantastic grouper fishing ? ” more than often I have to say no. With so many anglers over more than eleven years it is impossible but I do remember a fantastic fishing magazine in the 60s it was call Creel. Not only did it have a lot of good info for the young newbie I was then but had stunning articles on world wide fishing, I was captivated by a feature on Nile Perch fish at the time often went over 300 lbs. An other feature that was always a good read was a cartoon Mr Crabtree goes fishing each cartoon featured a selected fish which Mr Crabtree and his son Peter went out to catch and always ended up with a good one in the net. Well on my first busman’s trip of summer 2015 I felt a bit like Mr Crabtree and crucian carp was my target fish which as a lad was often my quarry and boy did I enjoy catching them. 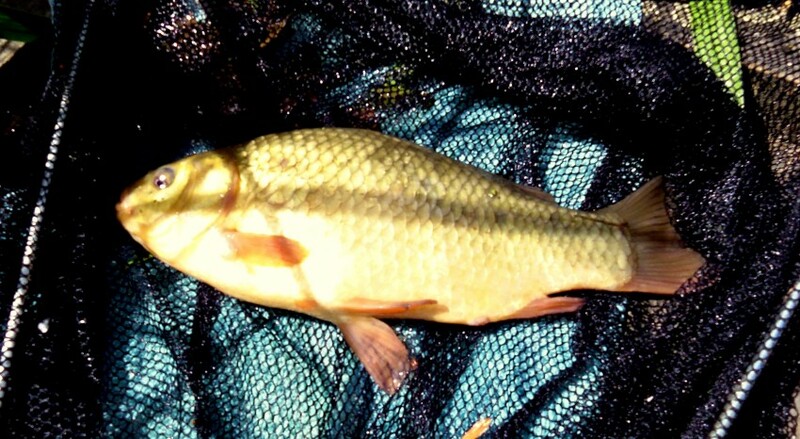 So after a bit of web research on the net and we were in the south of England I picked out Old Bury Lakes near Dorking it had a lake which was stocked just with tench and crucians just what the doctor ordered. What a complex and boy has coarse fish moved on since I was lad a well stocked tackle and bait shop even a full cafe then as much advise as any one need. So with the right floats bait and even been told which peg to fish of we went and what a stunning lake perfect fishing platforms and even feeding fish from the word go. 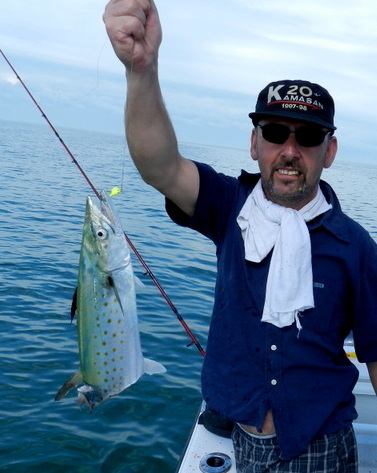 Not easy missed a load of bites and dropped way to many fish maybe it was the barbless hooks or the fact it was over nearly 50 years since I was doing this. 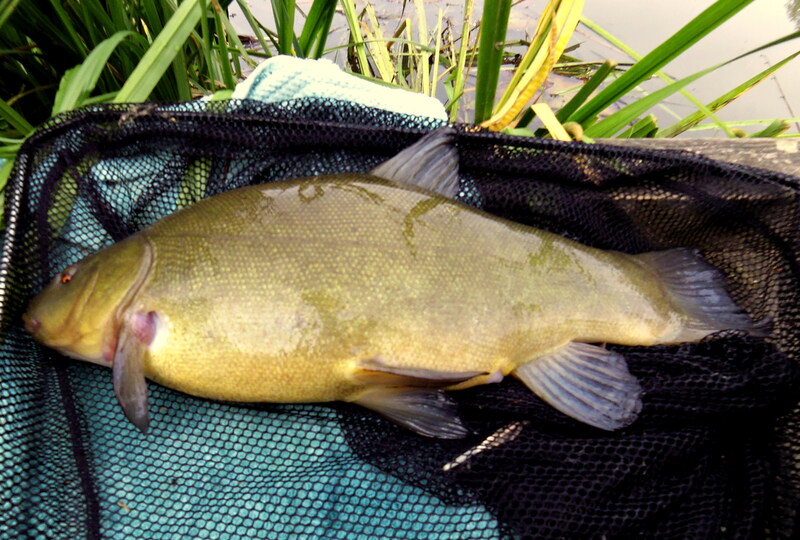 In the end it all came good tench over 4 lbs and crucians over 1 lb not the over 100 lb fish I have to deal with every day in the Keys but I had a smile all day and I am sure Mr Crabtree was smiling as well.